School trips, campus tours, off-site meetings, and other school events require safe and reliable transport options. London Coach Hire Company is here to help you find the perfect bus for your students, faculty, and chaperones. Safety for your students is our top priority, which is why each bus in our network is required to pass a series of inspections. When you work with us, you know your coach will be certified, licensed, and up-to-date on all UK safety standards. Call today at +44 (0)20 3617 1668 to start planning your trip! Lack of comfort can easily make any school trip a headache. However, when you hire a personal coach with London Coach Hire Company, you can request a variety of premium amenities to make your school trip the best one yet. With on-board toilets, reclining seats, TVs, DVD players, and more, your students and chaperones can completely relax. 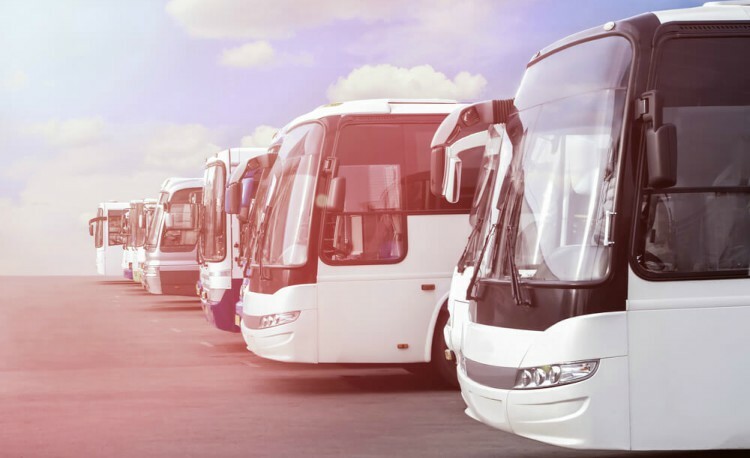 Fewer bathroom stops and comfortable seating means fewer stops on the way, and with a professional driver to handle all the transport logistics, your group can socialize and bond for a trip to remember. Are your students ready to explore their top university choices? It’s easy to plan campus tours with a minibus hire. Plan your itinerary of your students’ top choices, like City, University of London, and we’ll handle the rest. We’ll worry about navigation and parking so you can focus on exploring all your college has to offer. Whether your school’s team is small or large, we’ll match you with the most fitting coach. From 18 passenger minibus hires to full-sized coaches, your whole team can ride in luxury to their next match. Want to decorate with your school colors? Ask your reservation specialist about wrapping your bus. Either way, your team will be ready to dominate. Nothing is more important than safety when transporting students. Whatever your school event may be, you can rely on London Coach Hire Company for efficient, reliable coaches. Call us today at +44 (0)20 3617 1668 to get your free, no-obligation quote.